Alongside completing my Psychology degree, I started my first company (WattSpot) when I was 19, which provided phone charging facilities to businesses across the UK and Ireland. 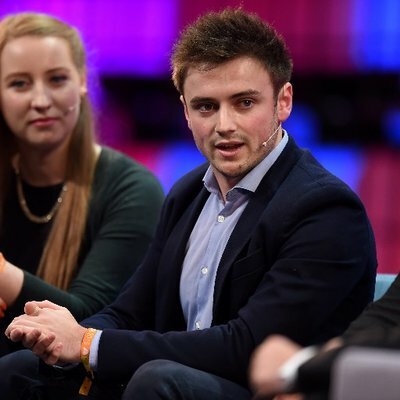 Highlights of my time with WattSpot include being included in the Sunday Independent’s Top 30 Under 30, speaking at Web Summit, the IoT World Conference and more. Since graduating in May, I joined the team at Kontainers where we are digitizing the shipping industry and also working on Partnerships with Blocknubie. Start-ups have been a huge part of my life and a lot of the friends I have made along the way are going through the highs and lows that come with it as well. So when Loughlin (CEO Blocknubie) first told me about Blocknubie, I immediately recognized the value in what he was trying to do and bought into the vision immediately. One minute pitch for what you do now? As Partnerships Manager, I look for synergies with companies who may potentially come on board the Blocknubie platform. From a young blockchain startup that may be interested in getting involved as a future Alpha Program participant to a large global company who sees the value in the ecosystem we’re building and may want to come on as a strategic partner. And as it is a young company, I help the rest of the team out with anything if needed. Last 12 days of our private presale. Countdown is on. As a friend of Loughlin’s, I knew he was a serious operator. So the opportunity to work alongside him and the talent he has attracted to Blocknubie was a no-brainer. Also, in the world of startups, the common statistic of “90% will fail” has been gospel for far too long. The idea of startups utilizing the Blocknubie platform and chopping that percentage through the innovative application of technology is insanely exciting. Why do you think it’s such a powerful idea? The ability to remove potentially damaging, emotionally driven decisions in the early days of a startup and replacing that human error with data-driven logic is a powerful one for me. But also the vision of a community with access to a massive arsenal of digital tools, advisors, potential partners, capital and more is pretty staggering. Who wouldn’t want their startup to be a part of that? How can people find out about the ICO and your work? Blocknubie.io has everything. Our blogs are a good way to read thought-pieces from the team and Telegram has been very useful for people to chat directly with the team.